GDPR will affect companies globally, and means that both internal and external processes for identifying, tracking, managing and protecting personal data will need to be addressed. Under GDPR, data controlling organisations and their suppliers can be jointly liable for any data breaches or non-compliance, meaning there is a need to both engage and evaluate your suppliers’ performance in this area. Greenstone has introduced a GDPR Assessment Questionnaire into its SupplierPortal solution along with an automated GDPR Audit Report. This questionnaire can be completed internally or distributed to suppliers for completion, with all responses automatically assessed. Developed in partnership with a third party regulatory and compliance expert, the questionnaire is fully aligned with the GDPR regulation and its requirements. 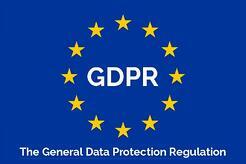 Internal organisational GDPR assessment – register online, complete the questionnaire and receive and share an automated Audit Report showing your organisation’s readiness for the GDPR regulation. Alternatively, you can distribute multiple questionnaires across different operating units, or regions, of your own. Access PDF downloads of supplier GDPR Audit Reports available any time from SupplierPortal. Share your organisations GDPR responses and supporting documents with any customer or client online through SupplierPortal. If you would like further information on the service, then please fill in the short form on our GDPR Service page and we will get you started.